“We are undergoing a transition between the era of the paternal and material, to make way for a new stage, that of mother and ethereal.” Don Eduardo Colunga, prayer leader of the town of Polé, explained the importance of having lived in the year 2012. With the above, he ensures that we are in the midst of a shift in collective consciousness to the spiritual, where the female figure plays a key role. 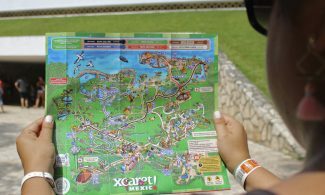 His role at Xcaret is to welcome visitors to Xcaret’s Temascal. “My job is to welcome ancient warriors to the present at the ceremonial center of Xcaret” said Eduardo. 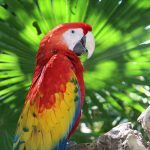 In a pleasant conversation, Don Eduardo shared his stories, highlights and explained the work done in the spiritual center of the Temascal, in the Mayan village located in Xcaret. 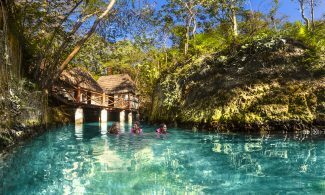 The meaning of the Mayan Temascal comes from the Nahuatl meaning “house of steam” and for its name in Maya Culture “Zumpul-Che” which means “Place of Sweat”. The Temascal was the ceremonial center where the Mayan warriors went for physical and spiritual healing before crossing the sea to the island of Cozumel. Among the anecdotes shared with us, Don Eduardo explained how people from all over the world come seeking a “shaman” and the curative powers of the ritual of Temazcal. “One time, a man from Spain came to heal his chronic claustrophobia. He took the Temascal and was surprised to see that he had ceased to feel his disease”, Don Eduardo said. Don Eduardo and his kind companions, Miguel and Julio Cesar, receive visitors from all over the world giving them a spiritual experience of communion with Mother Earth. 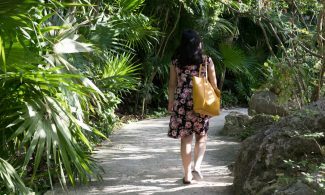 Relaxed and with a smile, we said goodbye, but not before recommending the Temascal in Xcaret. On your next visit, don’t forget to stop by the Mayan village where you can meet with Don Eduardo, a fundamental part of the Faces of Xcaret. Would you like to experience the Mayan Temascal like the ancient warriors?